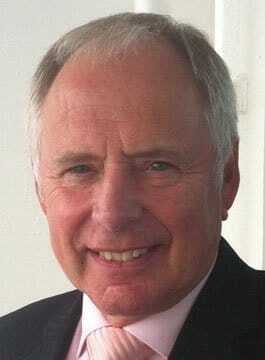 Nick Owen is the host of BBC Midlands Today, a position he has held since 1997. Nick was one of the first faces on UK breakfast television – presenting the sport on the very first day of TV-am in 1983. Within eight weeks, he had replaced David Frost as the main anchorman and was soon joined by Anne Diamond. That was the start of a partnership that included Good Morning with Anne and Nick a decade later for BBC 1. Nick Owen was ITV Sport’s main presenter for six years, taking over from Brian Moore in 1986. Apart from the regular weekly show, Midweek Sport Special, he also anchored the Olympics of 1988 and the World Cup of 1990. He’s hosted three game shows, reported for the old travel programme ‘Wish You Were Here’ and presented all the royal film premier programmes on ITV from 1986 to 1992, when he had frequent involvement with Princess Diana. Nick has been fortunate enough to interview scores of high profile figures from all walks of life, including six UK Prime Ministers, Eric Morecambe, Bob Hope in his garden in Los Angeles and Piers Brosnan at his Malibu home. Nick received the Baird Medal from the Royal Television Society for Services to Television and, in 2010, he was named Speaker of the Year by the National Association of Speakers Clubs. Apart from his broadcasting life, Nick is chairman of Luton Town Football Club and a past President of Derbyshire County Cricket Club. Nick Owen is very entertaining after-dinner speaker delivering humorous anecdotes from his career. Nick is also a very experienced conference facilitator and awards host. He is the ideal candidate when a ‘safe pair of hands’ are required.